Sanghamitra Chakraborty has joined the Gurgaon operations as Senior Vice President and business head. 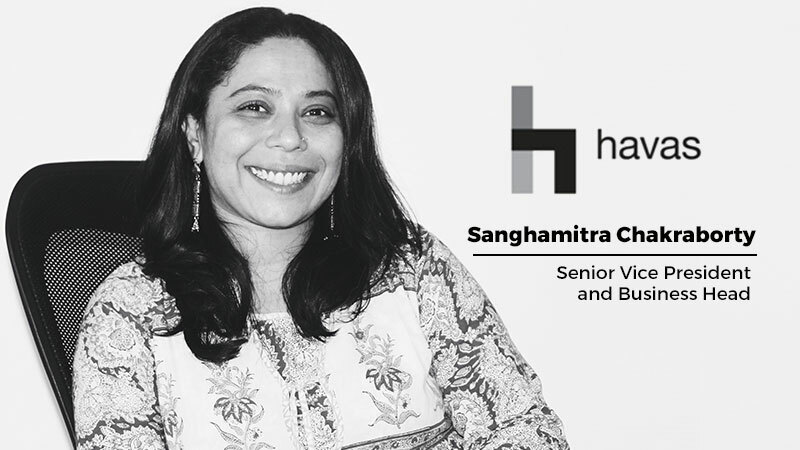 She will lead the integrated Reckitt Benckiser (RB) team at Havas India. Sanghamitra Chakraborty or Shong, joins Havas from Contract Advertising. In over 18 years in advertising and brand management, she has worked on several major global and home-grown brands such as GSK, Tata Docomo, Nestle, Maruti Suzuki, Motorola, Dabur, National Geographic etc. across stints with Grey Worldwide, TBWA, Publicis and Contract. Havas India is the creative partner for many of Reckitt Benckiser India’s brands and a hub responsible for origination of thinking and creative work on three major RB brands – Harpic, Mortein and Veet – for the entire world other than for Europe and North America. Revive Our Rivers - What would happen if rivers could protest?